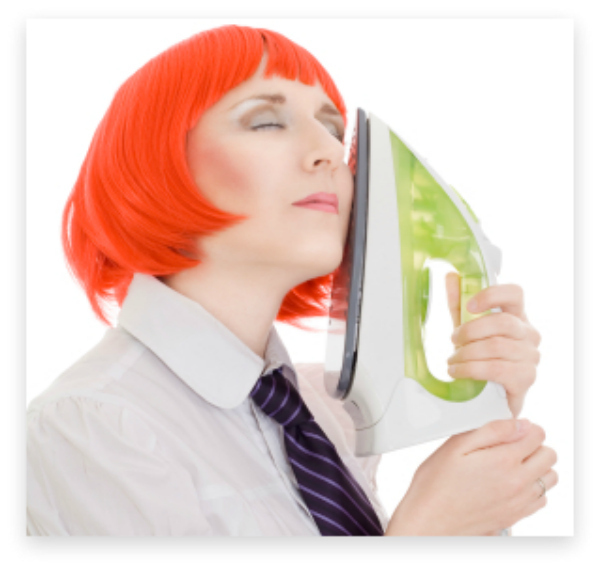 Spa Facial Treatment | Nu Skin Galvanic Spa Literally Irons Away Wrinkles! 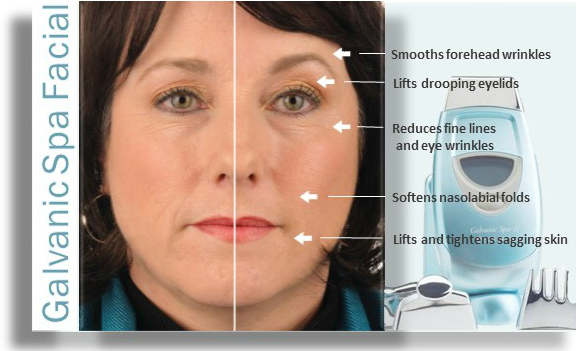 nu skin technology literally irons away wrinkles! One of the best spa facial treatment ever is the Nu Skin microcurrent facial which uses galvanic treatment technology to literally iron away wrinkles! The results are truly astonishing. Now I have to confess, this is one of my all time personal favorite spa skin care products which I fondly refer to as my little wrinkle iron. Basically the science behind the skin's response to a galvanic facial is "out with the bad, in with the good". In a two step process of negative and positively charged electrical current, this handy-dandy little hand-held spa facial devise works amazingly well to smooth fine lines and wrinkles. The first step of the galvanic technology process uses negatively charges electrical currents to remove impurities through the layers of skin. The second step uses positively charged electrical current to infuse rejuvenating ingredients, nutrients and emollients deep into the skin. "If you really want results, then use what works". In the case of the Nu Skin galvanic spa facial. . .
"If you want to see immediate results, give yourself a home galvanic spa facial treatment!" Plastic Surgeons, cosmetologists, and aestheticians all use the power of the galvanic skin response technology as a highly effective non-invasive facial rejuvenation cosmetic procedure to firm, tone and reduce wrinkles. Of course, professional cosmetic treatments, even the non-invasive ones, cost hundreds of dollars. At a cost of nearly $300, this home spa facial devise can be considered expensive, though, without a doubt, compared to a professional spa treatment, it does pay for itself after just one DIY treatment. Now approaching the big "60", I can honestly say that I really love the compliments I frequently receive on how great my skin looks. When asked what my secret is, I have to honestly say that I don't really have one. 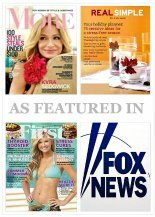 All the information that I have learned throughout the years on a non-invasive approach to facial rejuvenation is all shared throughout this website. Though I can say. . .
That along with a consistent dedication to my anti-aging regime and the extra help of the wonderful professional spa products that are now available for home use (finally! ), like my trusty little Nu Skin wrinkle iron, it makes a world of difference in really getting great results. . . The best way to get started (and the best value for your money) is the complete Nu Skin Spa System set. . . I don't know about you, but I sure find that there is nothing like saving a bazillion dollars while giving your skin a professional spa treatment that produces really great results in reducing wrinkles and firming sagging skin.